south to north via canals to Paris and Le Havre, or from Calais, St Valery sur Somme. a list of web sites of British and French haulage companies who specialise in boat transport. If you are really strapped for time or just want your boat positioned for you, then the option of having it moved overland by lorry is always available. 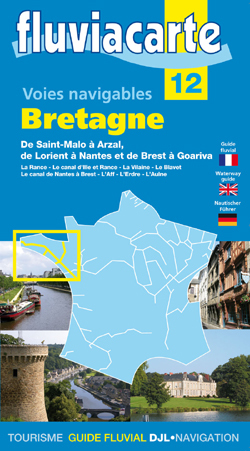 You can arrange for the boat to be loaded in the UK - taken on the lorry & ferry or from a northern French port to or from the Mediterranean - Clearly it is less expensive if you take your boat to any suitable French Channel port and have it de-masted and lifted there. 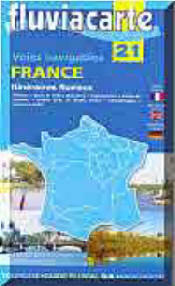 THE ALL FRENCH OPTION: Because of the very high charges the cross channel car ferry companies make for HGV's it can be considerably cheaper to use a French based boat haulage company to take the boat to or from the Mediterranean from a northern French port - Calais, Boulogne, Le Havre, Cherbourg for example. Sail it on its own bottom across the Channel. The only 'down' side of this is you and your crew need to use a car ferry or cheap airline to get to the channel port. As foot passengers this not too expensive but transport costs and the possibility the lorry may be a day late has to be taken into account. The French boat haulage companies will of course also deliver to the UK. You will find they nearly all speak reasonable English and are highly professional - the French probably move more boats by road than the British do. It describes the Routes, the regulations the paperwork - How where and when to get the qualifications and license, the depths, air heights, locks and a whole lot more. Are a very good national transport company based in La Rochelle, Nantes and Sete on the Mediterranean. They move boats all over France on a daily basis. Murielle speaks English. The driver and Bambola's new owner managed to communicate fine in Franglais... Her email is m.dubelle@altead.com. If you contact any of the following please mention this web site. AUGIZEAU TRANSPORTS (Murielle speaks English) m.dubelle@altead.com. http://augizeau.online.fr/ This site is in English and French - Probably the largest boat transporters in France/Europe. They will transport your mast only if you wish. Murielle has been very helpful indeed, and speaks good English. www.lememo-transport.com This site is in English and French - Situated in La Rochelle - one of the most experienced boat haulage companies in France - Up to 40 tons. These people are very experienced at transporting small boats up to 3 tons at extreamly eocnomical rates. This company have heavy towing vehicles - Range Rover type and a selection of trailers. 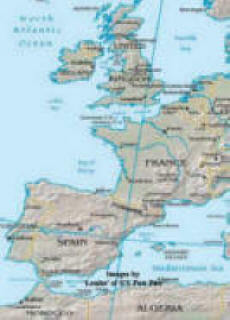 Do regular trips to France and Spain and may have 'return load' possibilities. I have personal experience of them and they are professional and economically priced. Peters & May, Parham Drive, Eastleigh, Southampton, Hampshire, SO50 4NU. UK. Trafalgar House, Alington Close, Poole, BH14 8NF, England. Tel.00 44 (0)1202 706720. Fax.00 44 (0)1202 706721. Mobile 00 44 (0)836 564438.
appear to do yacht transportation by road & sea from Poole in Dorset. The lorry driver arrived at the marina and with the help of the staff had the boat moved to beneath the crane, mast taken down, the boat craned out and placed on the special boat transporter low loader. He then drove it to Holland where I was working and I had arranged for a marina to receive it. I had no input except for telephoning the marina in Spain and warning the marina in Holland to expect it - and paying in cash - no receipt. You have to be prepared to make a fast decision if you find such an opportunity - most boat carrying lorry trips have been costed for the lorry to return from 'tipping' the boat at it's destination without a return load. Of course it is very attractive for the haulage company to have a 'return load' to somewhere near to their depot. Even if it's at a discount - it's nearly all profit for the haulage company! To achieve this you the customer must be flexible about time and dates. Be willing to make a decision on the telephone and possibly pay in cash. If you contact any of the above please mention this web site. 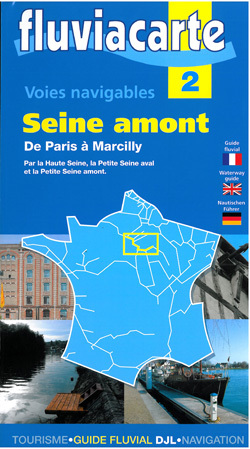 SN7 = south to north via canals to Paris and Le Havre, Calais, St Valery sur Somme. Lorry option = a list of web sites of British and French haulage companies who specalise in boat transport. 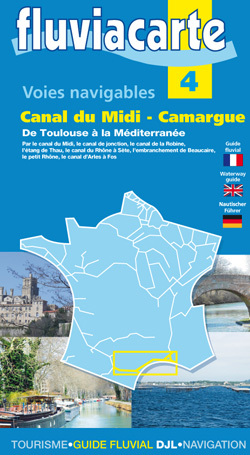 These web sites may be useful for the end of the canal system in the Mediterranean . Why not take your boat to La Rochelle on your way to the Mediterranean? 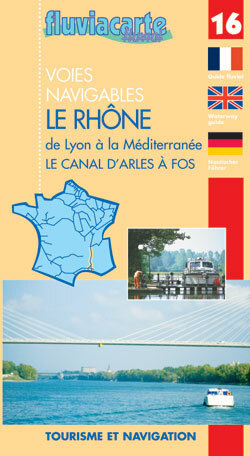 The first part of the book has all the day sail stops down to La Rochelle then onto the Med. 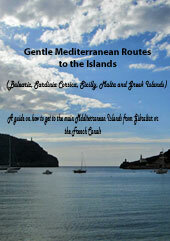 There are several ways of getting your boat to the Mediterranean. On the back of a lorry, via the French canals, four or five day’s non stop across the Bay of Biscay then down the Portuguese coast or spend the summer or two, gently coasting southwards, enjoying the harbours, cities, towns and villages of France Spain and Portugal. 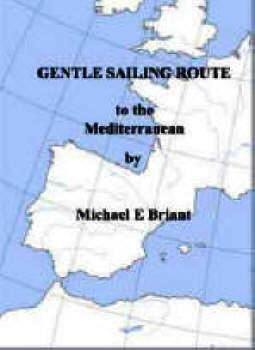 This is not a pilot book, rather a passage plan and guide to the nicer places between the South Coast of the UK to the beautiful Mediterranean Sea. 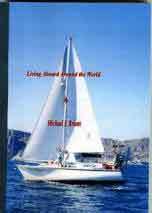 It can all be done in easy stages, to suit a lightly crewed boat, with perhaps only a couple of people on board who are without ‘offshore’ experience. Actually, it is a lovely way to explore a lot of delightful foreign places.